We are happy to announce our newest Mantra crew member, Chance Isbell! We hope you like learning more about him through this profile interview as much as we did, or even better, come to the shop to meet him in person! Chance is such an approachable guy and he gave us so much details about him and his work that we had to publish this great interview in two posts! If you missed Part 1, no worries, you can read it here. How did you end up at Mantra Tattoo and what are your expectations of working here? 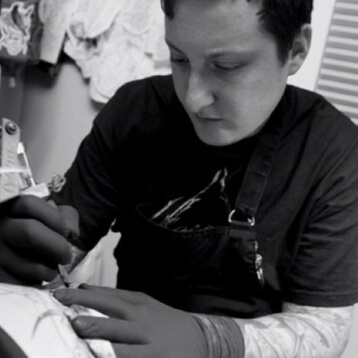 I ended up at Mantra after settling down in Colorado and evaluating what my options were to find like-minded artists who cared about growth in the field of tattooing and making great art along the way. I was very honored to be brought into the Mantra family courtesy of Ben Parker and Ben Gun. I plan to provide my services to the best of my abilities for all clients of the Lakewood/Denver area and represent the Mantra name with the proper pride and respect it deserves. What is you tattoo specialty? 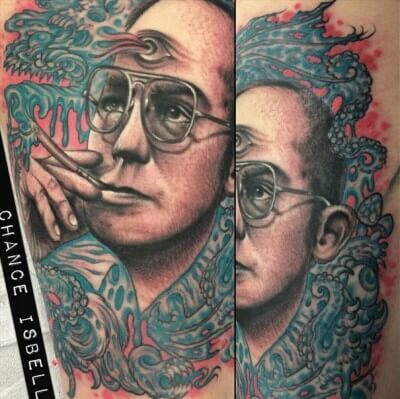 What makes an artist good at that specific type of tattoos? Did you get specific training to get good at what you do? I would consider my abilities to excel in traditional american and a slightly illustrated realism as a specialty. I was trained and influenced by mostly traditional American tattooers, and I try and uphold the values and pay homage to the many pioneers who paved the way for us to all be here in the tattoo industry today. Although I feel like I’m able to do most styles of designs justice, I feel the most comfortable keeping things simple, bold and clean. 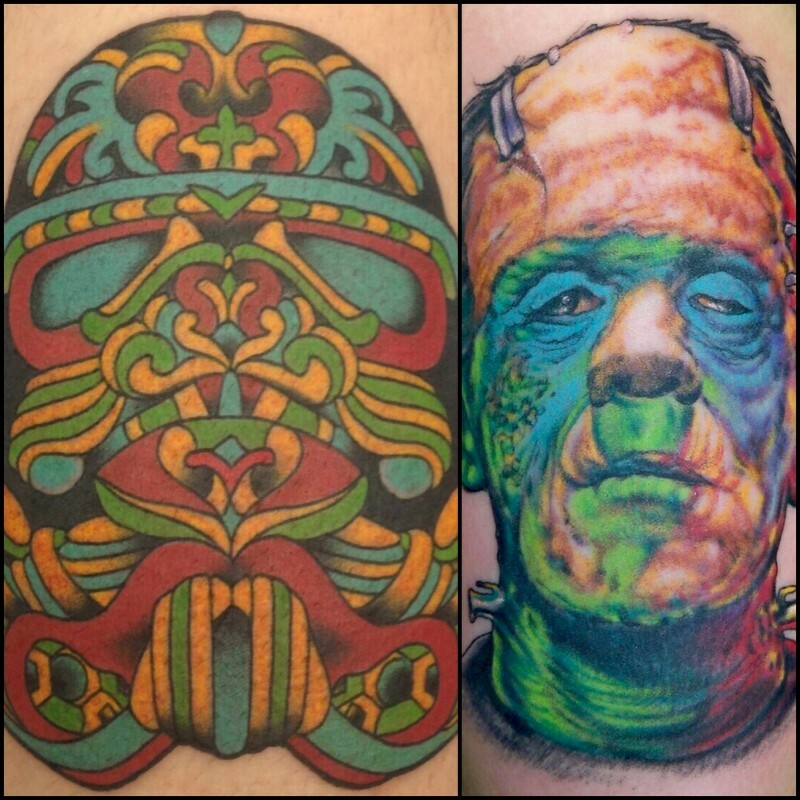 What is your favorite thing to tattoo on other people? Like most artists I’d assume, I really enjoy doing things out of my personal sketchbooks. Anything that hasn’t been found in reference books or online. Although I pull inspiration from various sources, I really like the odd stuff that finds its way to paper late at night when you’re just drawing for no particular reason. Those ideas seem to just come out of nowhere and have a certain charm to them. Is there something you tattoo that may have a special meaning to you? Not that I’m aware of, although I feel like memorial portraits have a very special meaning to the client getting them. You can see the power of the design genuinely effect someone who has decided to honor a certain person or pet forever on their body. That’s an emotionally moving event for the person getting the tattoo, and it makes you feel very good inside to be a part of that experience with them. It’s a hard thing to explain, but I feel like it’s quite an honor help another person with something like that. Especially when you see them look in the mirror for the first time and they say that it looks just like them. I take a lot of pride in doing the best tattoo I possibly can in those situations. Which has been the most difficult tattoo you ever had to perform? I think portraits always fall into that category. They can be so specific and time consuming. Not to mention your influence comes from a single photograph sometimes. You just have to have confidence in your final product looking as close to your reference as possible. Which is the coolest tattoo you’ve done? That’s too difficult of a question to narrow down. I’ve done so many that I enjoyed and still look back at today as such a fun experience. I’m a huge horror movie fan, so anything I get to do involving that genre I’m pretty excited about. 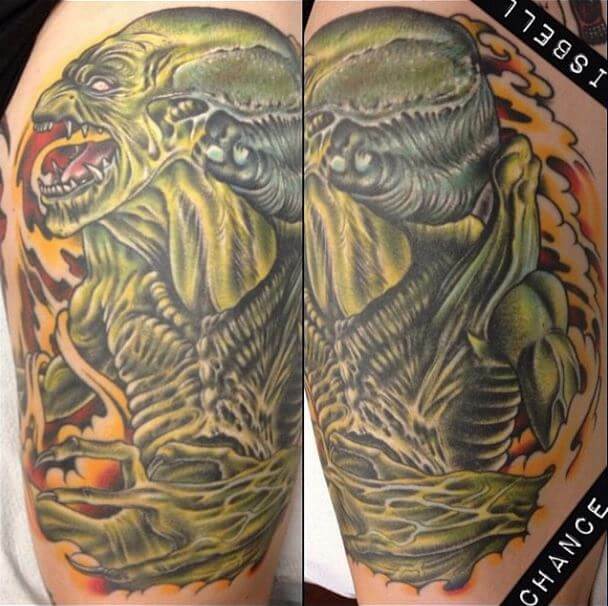 I was able to do a Pumpkin head design on a friend’s thigh years ago, maybe that one? Do you have any funny tattooing stories? None that I can tell around children! Is there anything you would refuse to tattoo on someone? Although I don’t feel like anyone should get hateful or racist tattoos on them, the whole world is built on situational circumstance. When the time comes I choose to hear anyone’s ideas and provide my service until I feel it’s just not a good fit. To each his own you know. Finally, what advice would you give someone who is thinking of getting their first tattoo at Mantra? I would suggest always giving your tattoos the proper thought and research. Really decide if that’s what you’ll enjoy on your body “forever” no matter what. What you’re into at eighteen might not be the same case years down the line. I have a lot of silly tattoos on me, but I still love them all.